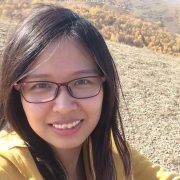 Li Zhao is currently a Researcher in Machine Learning Group, Microsoft Research Asia (MSRA). She obtained her PhD degree majoring in Computer Science in July, 2016, from Tsinghua University, supervised by Professor Xiaoyan Zhu. Her research interests mainly lie in deep learning and reinforcement learning, and their applications for text mining, finance, game and operations research.